Dean believes that quality representation begins with treating every client as if they’re the only client. He will spend whatever time necessary to get the best result. When working with injury victims, Dean makes sure his clients know he’ll be as aggressive as necessary and fight tirelessly on their behalf. A Board Certified Civil Trial Specialist, Dean has represented hundreds of injured people throughout Wisconsin. He is prepared and at ease in the courtroom. Dean received his Masters of Business Administration degree in 1986 after working as a commercial loan officer. In 1989 he received his law degree from the University of Wisconsin – Madison. 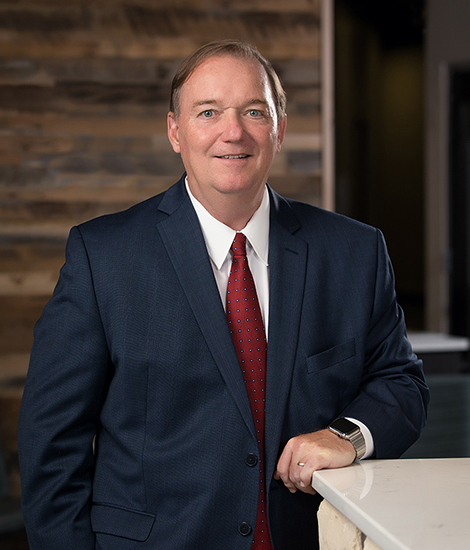 Dean has been active in the community as a Foundation Board Member of Chippewa Valley Technical College and the River Falls Community Foundation. He enjoys spending time with his family, particularly at their lake cottage, enjoying the outdoors along with an occasional round of golf. Wisconsin Super Lawyers – 2006-2007, 2011-2012, 2016, 2017, 2018. Minnesota Fire & Cas. Ins. Co. v. Paper Recycling of La Crosse, 2001 WI 64, 244 Wis. 2d 290, 627 N.W.2d 527.